Crockpot Candy Peanut Clusters - WCW Week 50 - Recipes That Crock! 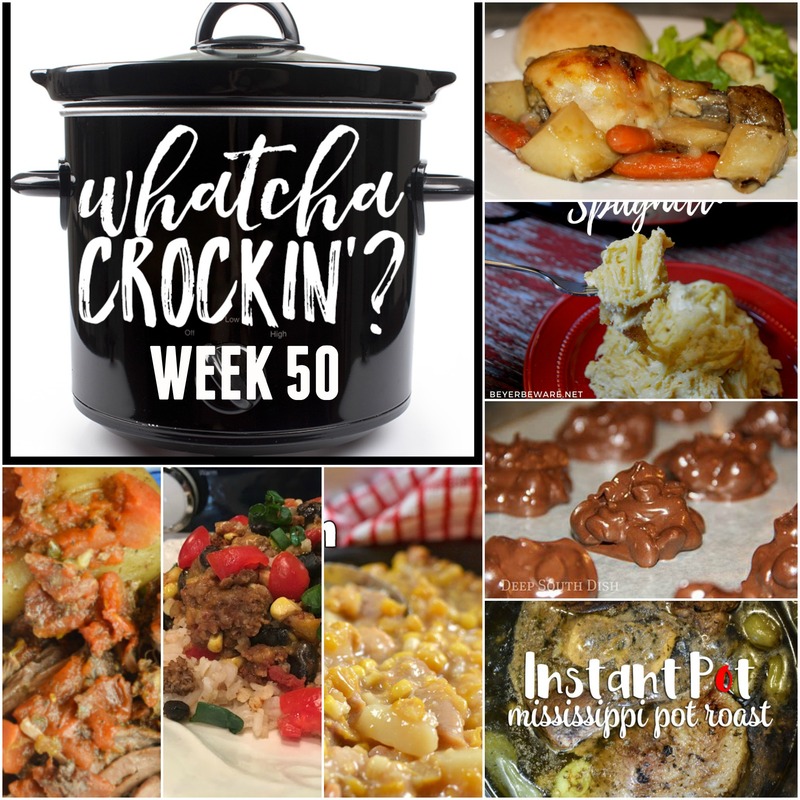 This week’s Whatcha Crockin’ crock pot recipes include Crockpot Candy Peanut Clusters, No Fuss Chicken Dinner, Mississippi Pot Roast – Electric Pressure Cooker, Slow Cooker Greek Beef and Potatoes, Crock Pot Creamy Chicken Spaghetti, Slow Cooker Chicken Corn Chowder, Crock Pot Taco Rice Casserole. 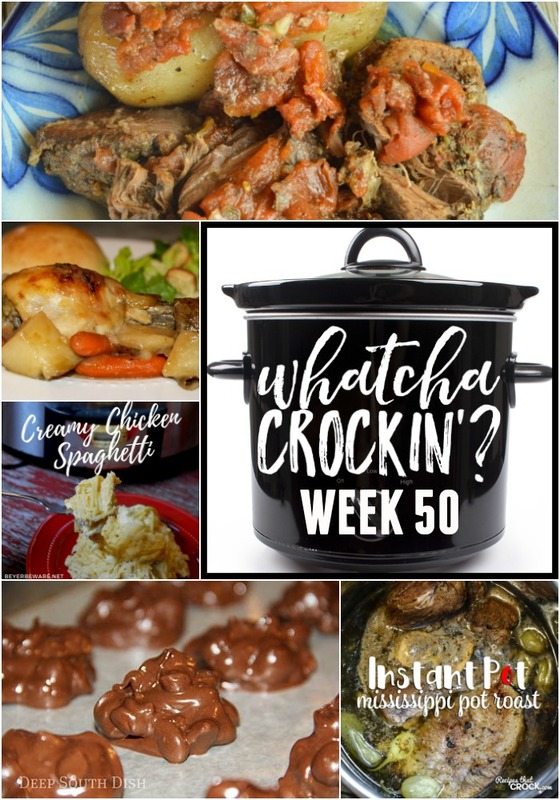 Welcome to week 50 of Whatcha Crockin’ link ups with our blogging friends!!! Liz, Leah, Megan and I are so grateful to all the bloggers that link up their delicious crock pot recipes each week. This week you we have some crock pot recipes you don’t want to miss from around the blogosphere. So let’s get crockin’! No Fuss Chicken Dinner from The Farmwife Cooks. Crock Pot Creamy Chicken Spaghetti from Beyer Beware. Slow Cooker Greek Beef and Potatoes from These Old Cookbooks. Mississippi Pot Roast – Electric Pressure Cooker from Recipes that Crock. Crockpot Candy Peanut Clusters from Deep Dish South. Thanks for another party! Great lineup!